Anyone who’s been fortunate to attend the annual International Blues Challenge, which The Blues Foundation conducts each January, knows firsthand that there are dozens of great bands flying under the radar and deserving attention. As this debut CD reveals, Peter V And Blues Train definitely deserve to be in that group. Selected as the representative of the Jersey Shore Jazz & Blues Foundation, the band didn’t garner any honors in the competition, which included 240 bands from around the world, but they turned heads each time they played their stylish brand of contemporary blues. The band is fronted by Peter Veteska, a native of the projects in rough-and-tumble Bushwick in Brooklyn, a neighborhood rife with gangs and violence. A vocalist who delivers his lyrics in a clean, strong tenor, Veteska also is an accomplished guitarist. 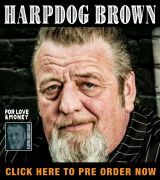 He picked up his first six-string in a pawn shop at 13 after saving the $5 a week he made delivering newspapers in Jamaica, Queens. 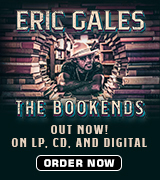 Influenced by Duane Allman, Alvin Lee and several other second- and third-generation bluesmen, he’s self-taught. After displaying talent early, however, he but abandoned music out of frustration by the time he reached 20. If this CD is any example of what’s to come, it was worth the wait. Accompanying Peter on this collection of five originals and six covers, which was co-produced and engineered by Joseph DeMaio of Shore Fire Studio in Long Branch, N.J., are an interesting mix of talented musicians. Drummer Alex D’Agnese, a Wall Street retiree, and bassist Sean Graverson, a union iron worker, are both veterans of the New Jersey club scene. And keyboard Aron Louis Gornish is a surgeon by day and musician at night. They’re assisted here by New Jersey Blues Hall Of Fame inductee Bob DelRosso on guitar. Gary Nouwirth provides harmonica on two cuts and Texas transplant Kelley Dewkett sings lead on another. A stinging single-note guitar solo kicks off “Trying To Play The Blues,” a self-penned tune in with Veteska lays out his intentions in a way no one can misunderstand. His touch is light and quick and stingingly sweet as he works. His vocal delivery almost approaches rap at times on this song only, but remains consistently on note and sung, not spoken. The propulsive rhythm section is just behind the beat, swinging from the jump, and the band contributions call-and-response on the chorus. The feel continues for “Baby Doll,” and light and pleasant plea for a woman’s affections. Gornish delivers a strong B3 solo mid-tune before another fine guitar run shared with DelRosso. A pair of Albert King covers — “Wrapped Up In Love Again” and “C.O.D.” – sandwich the next original, “You’ve Got Another Thing Comin’.” Both of the King tunes get new treatment despite their familiar feel. The original is a darker toned walking blues that foreshadows the singer’s departure from a woman who fails to appreciate a hard-working man. A quartet of familiar covers follow — Robert Cray’s “Phone Booth,” entitled here “Phone Booth Baby,” an acoustic take on Bo Diddley’s 1957 classic “Before You Accuse Me,” Koko Taylor’s “Voodoo Woman” with Dewkett in total command of the vocals, and Elmore James’ “Done Somebody Wrong” – each with an updated arrangement. Two more originals — “But I Don’t Have You,” a Spanish-flavored burner nothing like the Billy Boy Arnold classic, and the love song “I’ll Be There For You” – bring the album to conclusion. 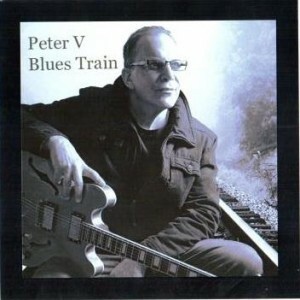 Available through iTunes, Peter V Blues Train is a rock-solid first effort. I, for one, look forward to the band’s follow-up, which is already in production.